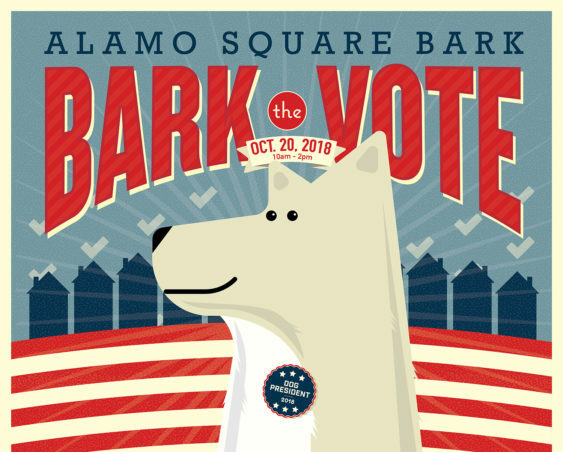 Bring your dog and join the Sisters of Perpetual Indulgence for a free, fun, dog-themed rally to get out the vote for the November 6 elections. Speakers, a dog for president and a dog costume contest, voter registrations, dogs available for adoption, and more. Sign ups start at 10am-12:00pm, at the park, near the stage. • Dog for President contestants (actually, their guardians) will be allowed a one-sentence campaign speech on why their dog should be president. • Brevity, humor, and inspiration to vote on Nov 6th are the goals! Sign ups start at 10am-12:00pm at the park, near the stage.